Vote our Values engagement begins! We need dedicated volunteers to take a lead in our civic engagement outreach efforts! Please join us on Saturday, September 23, 2017, at East Brunswick Day (during the hours of 11am-5pm). Now is the time to connect with voters to bring awareness and motivation to this year’s election. increase the chances of people voting by having them fill out Commitment-to-Vote postcards. Our Vote our Values training was offered to the​ ​wonderful​ ​volunteers​ ​who​ ​came​ ​out​ on September 9. We’ll continue this training ​on​ ​voter​ ​engagement​ to prepare you and give you the confidence and knowledge to go out and make a real difference. We will show you our best practices in registration drives, who is eligible and how to register. We’ll also offer our tailored ​script​ ​as​ ​a tool to help guide the conversation ​in​ ​a​ ​listening​ ​canvassing​ ​campaign and keep the message focused.​ You will receive all the ​materials necessary​ to carry out your effort! Our ​website will soon have​ ​a​ ​video​ ​recap​ ​of​ ​the​ ​VOV​ ​training​​. Now is the time to join us! 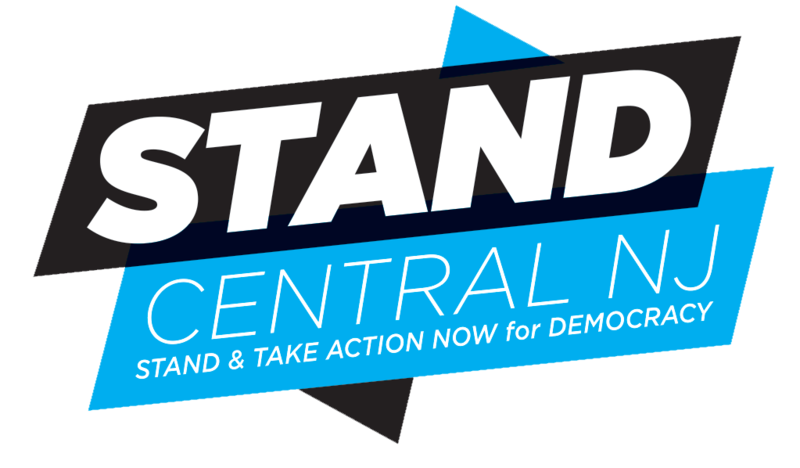 Contact​ ​us​ ​at standcnj@gmail.com​​ ​and let​ ​us​ ​know​ ​that​ ​you​ ​are​ ​interested​ ​in​ ​​canvassing, registration drives.​ ​ We​ ​have​ ​events​ ​coming​ ​up​ ​this​ ​month​ ​and​ ​next. Come out and ​make​ ​a​ ​difference​ ​in this election in​ ​November!